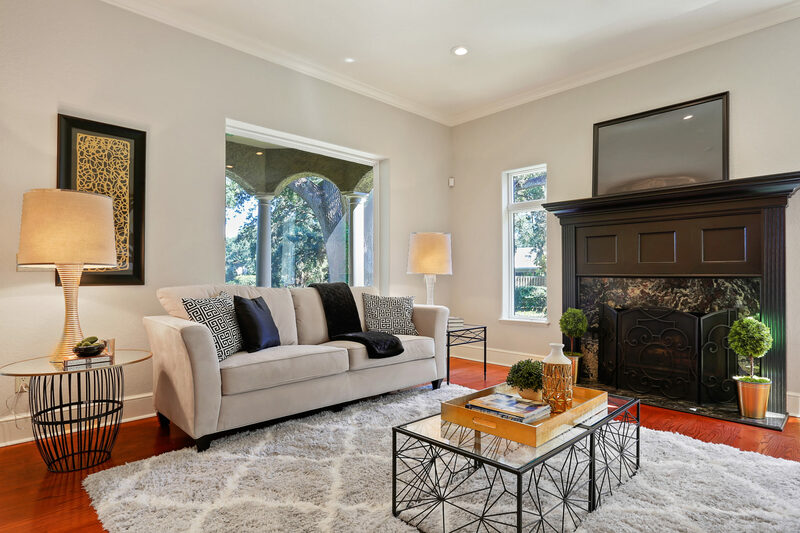 Our Tampa home staging services help make your home appealing to the largest pool of potential buyers, speeding up the selling process and so you get the highest sale price possible. Tour our work, get tips to help sell your home. Getting a home ready for selling is no different than preparing for a job interview, a date or launching a commercial product for sale. You have only one first impression and you want your home presented in the best way. See a small sampling of the hundreds of homes we’ve staged. Two home staging offerings to get your home sold. 2) Homes under $500,000 Home Sprinkles, a division of Home Frosting is an affordable alternative. Three reasons why home staging is critical and a wise investment. 1) Today when home buyers shop for a new home, they look online first. This is the first reason home staging is critical if you want to break through the online competition, sell your home fast and for the highest price. 2) Our society is very visual due to of all the HGTV and other network home improvement and design shows. Home buyers expectations are higher too. Often older homes are often competing with new construction. Home staging can give a home a new fresh and current look and an edge to stand out with competing listings. 3) Prospects often can’t see how their furniture will work in the home or what they will do with certain spaces. Home staging makes it easy to imagine living there and gives each room purpose. The goal of home staging is to present your home in the best light possible. This means accentuating the positive by making rooms feel spacious and bright. Our team of professional home stagers create WOW factors to showcase upgrades, special spaces and features. We visually tell an aspirational lifestyle story, so buyer can see themselves living in and loving the home. With an occupied or soon to be vacant home consulting package, our professional home stagers help you get your home ready to sell. The home staging consultation cost is $250. The fee is paid at the time of scheduling the appointment. The home staging consultation service provides an in-person home visit and on the spot feedback to get your home sell-ready. With an occupied or soon to be vacant home consulting package, our professional home stagers help you get your home ready to sell. The home staging consultation cost is $500. The fee is paid at the time of scheduling the appointment. The home staging consultation service provides an in-person home visit, limited on the spot feedback and written report to get your home sell-ready. Within four days, we email you a visual report and checklist addressing home improvements, decluttering, furnishings, light fixtures and paint editing. If home staging rentals are needed, we will provide you pricing and room recommendations too. Our goal is to present the home to appeal to the largest number of potential buyers and put more money in your pocket on the fastest track. Ready to book a vacant home staging? Give us a call at 813-250-1730 or email Karen@homeforsting for a phone consultation. If you have photos of the property. We will review them, learn about your targeted listing price, and timing. We will then create a home staging proposal. This will include price, number of rooms, and schedule availability. Once contracted, we tour the home and move quickly to plan for and install staging assets. We offer several packages for vacant home staging. All are available for 30 days. For pricing, availability and to get you one step closer to SOLD. Give us a call at 813-250-1730 or email Karen@homeforsting.com to schedule for a phone consultation.